The Vice President, Prof. Yemi Osinbajo, will test run the ongoing contruction of Lagos – Ibadan Standard Gauge railway next Wednesday, the Minister of Transportation, Rotimi Amaechi, has said. 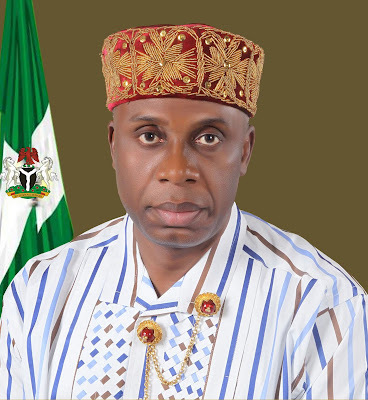 Speaking during an inspection ride on the standard gauge train from Agbado to Abeokuta of Friday, Amaechi said that the public would thereafter enjoy two-month free ride on the route from February 7. He said: “The Vice President is expected to flag off the test run of the standard gauge rail project on February 6 for passengers use. The minister said that from February 7, passengers going to Abeokuta would enjoy free train ride from Agabado, Lagos station to Abeokuta in Ogun. The News Agency of Nigeria reports that the minister inspected, among others, the Bolade-Oshodi, Iju-Fagba, Ijoko rail tracks to assess the laying of rail tracks on the axis. Mr. Fidet Okhiria, Managing Director, Nigerian Railway Corporation, had said that the track laying of the project was moving towards Lagos, adding that 1.5 kilometres tracks were laid every day. Okhiria said: “They have done a lot in laying of tracks between Abeokuta, Itori, Papalanto, Kajola, Ijoko towards Lagos corridor. “From here to Iju it's 10 kilometres, and we are laying 1.5 kilometers on daily basis and by first week of February we will do a test run to Abeokuta from Lagos. Jerry Oche, the NRC Lagos District Manager, said that the train, when completed, would be travelling by 150 kilometres per hour on the 156 kilometres Lagos – Ibadan trip in less than two hours.